Extract from Uncaria tomentosa has a very strong activity of increasing the body's resistance by stimulating the processes of phagocytosis (the process of absorption of pathogens by immune cells). Draw strength straight from nature! 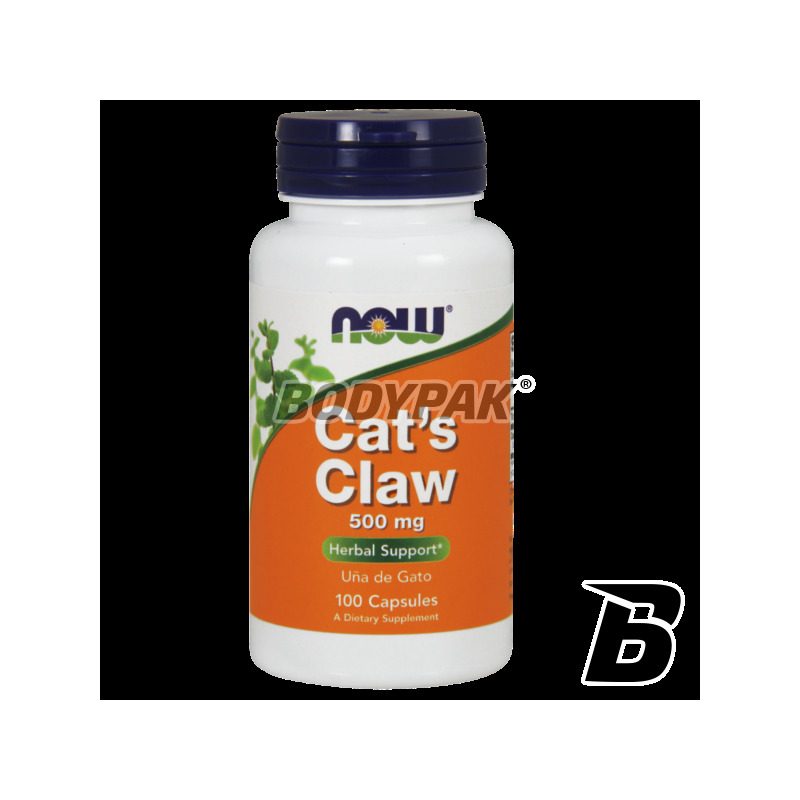 NOW Foods Cat's Claw contains an extract of the Uncaria tomentosa (Cat's Claw), which has a very strong increase general immunity by stimulating the processes of phagocytosis (the process of absorption by cells of the immune system of abnormal cells in the body). The product is also very helpful in ailments of the digestive system. It shows a positive effect in the case of: problems with urogenital and prostate. How do you see the health-promoting effects of this natural product is extremely broad. NOW Foods Cat's Claw is a product completely natural, the biological activity is not artificially stimulated! The strength of the fluid in nature - in this case almost literally Supplement improves mood and regulates the cardiovascular system and heart. Uncaria tomentosa (Cat's Claw) is used for many years, it was discovered in the Peruvian rain forest. 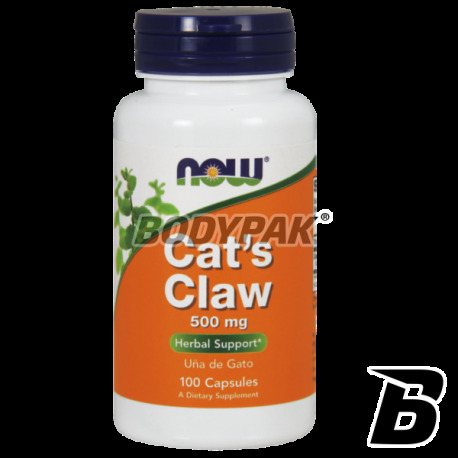 NOW FOODS CAT'S CLAW - HEALTH IN ACCORDANCE WITH NATURE!